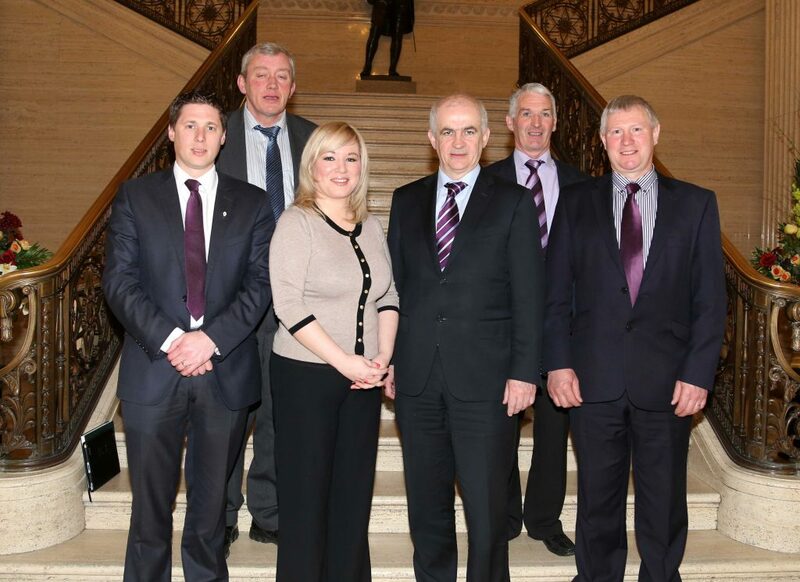 IFA President meeting the Northern Minister for Agriculture, Michelle O'Neill today. 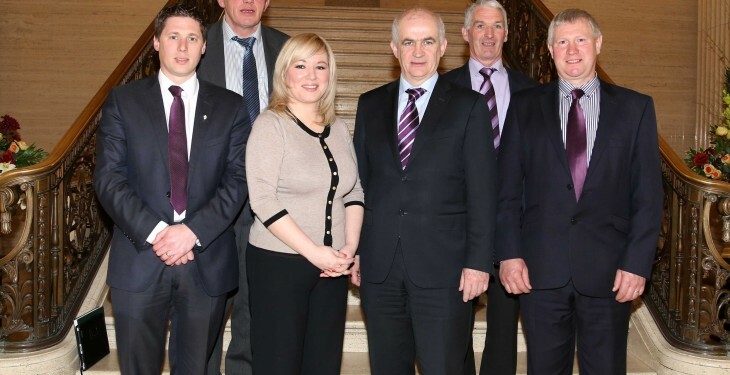 Pictured front row (from left-right); Cllr Matt Carthy, DARD Minister Michelle O'Neill MLA, Eddie Downey, President IFA, Bert Stewart, IFA. Back Row: Pat Gilhooly, IFA and Brian Treanor, IFA. In an interview this week, the IFA President, who is 100 days in his role, said the current crisis in the beef industry has been going on for months but cannot continue. Key stakeholders in the industry are due to meet with the Minister for Agriculture, Food and the Marine, Simon Coveney, on Thursday morning in Dublin Castle to discuss the situation. However, Downey has said the meat factories have let farmers down and are not able to market more than 29,000 cattle a week. “We met the meat factories the first couple of days after I got into the role and the one thing I said to them was that I would instruct all the IFA officers to tell farmers on the ground to export their calves, live, out of the country as soon as they are born. I also said we would get as many boats as we can and export live cattle. The distrust, he said, between farmers and the meat factories has widened, which is worrying. “We have to make this system work as it’s a huge issue for farmers. Any changes that take place at farmer level, as regard breeding of animals or specs. Is a very gradual process. To change the suckler herd around would take a minimum of five years.